Heading back to school can bring a number of challenges for our kids. Navigating new environments, teachers, therapists and peers can each be a bit scary but full of opportunity. Set a schedule and stick to it. Like any other priority, if homework always occurs at the same time, and the routine becomes engrained, your child will eventually accept the routine. This is true for teeth brushing, baths, and all of the chores children prefer to avoid. Initially it is hard to hold the line on the schedule, but it sure pays off later. Set the stage and set the tone. Show them that homework time is very serious. Give them an important place to sit. Ask siblings to be quiet or leave the area because it is homework time. Ask them frequently how they are doing. Intersperse praise throughout homework tasks. 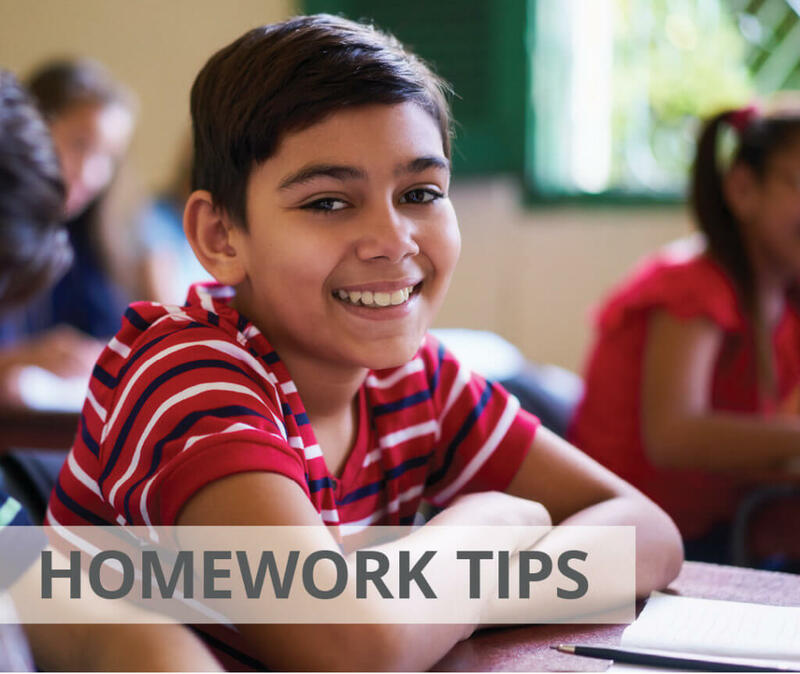 Show them that you care that they are being successful with their homework efforts. Help them feel successful and competent. Be firm but encouraging. Everyone tends to push back when they are nagged. It is hard to avoid nagging when you are frustrated, so observe your own behavior. You need to set the limits for what the homework routine looks like, but you also can be encouraging and motivating. Remind your child what you believe their strengths are, and why you are proud of what they are learning. Use rewards. It is OK to reward your child for completing their homework. They are doing something difficult every day. Consider giving a reward for being successful at participating in homework time (not getting everything correct). Eventually, as homework time becomes easier you can shift rewards to more academic goals. It does not have to be an ice cream sundae. Find out what they might like to do with you after they are done. This can be an opportunity to consider setting aside quality time that you will enjoy. Giving choices has been proven to increase motivation. What choices can they have during homework time? It is important for you to keep the time and the expectations the same. But, can they choose where to sit? Can they choose what materials to write with or write on? Can they choose what task to begin with? Also, consider letting them choose their reward as well. Give them at least three options. Empowering them in this way can be very powerful. The more control they have over the task the more motivated they will be. For more great strategies to support your child, click here to sign up to receive our newsletter!